Below you will find CS Admission 2019-20 Notification, Application Form, Eligibility Criteria and Fees. CS Admission 2019 will be provided by the Institute of Company Secretary of India (ICSI) for providing the professionals in the field of the Company Secretary. The institution conducts the entrance exam in two sessions i.e. June and December. The duration of the course will be dependent upon the type of the course the candidates have applied for i.e. Foundation and Executive. Candidates should fill the Application Form to successfully apply for the examination. All the details regarding the admission process are available below. • Candidates must fulfill the Eligibility Criteria for the course in which he/she want to apply. The Eligibility Criteria for the December session examination is available here. • For the admission in the Foundation Programme, Candidates must have passed the Senior Secondary examination from the Board or the University recognized by the Central or the state government. • For the admission in the Executive or the professional programme, Candidates must have completed the Graduation from the recognized board or the University along with the score of Common Proficiency Test (CPT) conducted by the institute of Charted Accountants of India (ICAI). • The Registration for the admission will be done on the Official website of the ICSI and Candidates should follow the step by step procedure to fill the Application Form. • After the Registration, Candidates will get a Unique User Name and Registration Number. With the Unique ID, candidates will be able to fill the Application Form. • Candidates must choose the Course type at the time of the Application Form filling and the documents should be uploaded as per the instructions provided. • The Payment of the Application Form Fee will be done via the Credit/Debit Card or the Net Banking etc. The Institution has released the Information Brochure containing all the details regarding the exam calendar and criteria set by the institution. The Information Brochure is available on the Official website of the Institution and candidates can download the Information Brochure from there. The Institution will announce the final cutoff list for the candidates who will get the admission in the institution. The Cutoff will depend upon the type of the course the candidates have applied for. The foundation course will have the less cutoff than the executive course. Registration Date for the December Session: Till March 31. 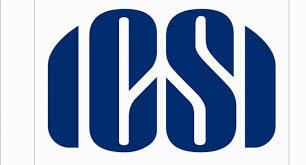 The Institute of Company Secretaries of India (ICSI) is the only recognized professional body in India to develop and regulate the profession of Company Secretaries in India.